Since May this year, foreign service workers at Canadian embassies around the world have been on rotating strike to seek fairer wages, causing delays in processing visa applications. 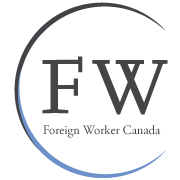 This strike not only harms the tourism and education industries, it also affects Canadian immigration, warns FWCanada. This strike not only harms the tourism and education industry, it also has a negative impact on immigration services, because those who need to travel to Canada for school or business now face longer processing times. Since May this year, foreign service workers at Canadian embassies around the world have been on rotating strike to seek fairer wages, causing a backlog of unprocessed Canadian visa applications. The Canadian Treasury Board has entered a binding arbitration with the Professional Association of Foreign Service Officers (PAFSO) union this week, reported CBC news. According to CBC news on July 18, the Treasury Board President Tony Clement has moved into binding arbitration with union after receiving an email from Tim Edwards, the president of the Professional Association of Foreign Service Officers. Clement has also accepted the union's offer with certain unannounced conditions. For the union's claim that roughly 1,350 of its members are underpaid by between $3,000 to $14,000 per year, it is still unclear whether the government will topple the salary as demanded. "Our government will always put the interest of taxpayers first. We will continue to bargain in good faith," stated Matthew Conway, spokesman for Clement. The strike inflicts potentially heavy financial costs in the tourism and education sectors. The Tourism Industry Association of Canada puts out an estimate that the industry will suffer $280 million in losses if the strike drags on. The association further suggests that that emerging markets in China, India, Brazil, and Mexico are at risk as people alter their travel plans due to visa application delays. Besides tourist companies, university and school boards are also concerned about the strike. The Association of Universities and Colleges warns the Canadian government that they have already received some withdrawals from language programs and prep courses due to the delays in visa application, and that the education of 105,000 international students can be hurt. "We are worried that students waiting for permits will start their courses late or be denied admission altogether," said Jonathan Champagne, national director for the Canadian Alliance of Student Associations. Some universities have taken action to deal with the consequences of the strike, as reported in the Toronto Star on July 22. The University of Toronto has a visa tracking system in place to check whether their international students can have their study permits processed on time to attend orientation. The deadline for arrival has been extended at York University. "This strike not only harms the tourism and education industry, it also has a negative impact on immigration services, because those who need to travel to Canada for school or business now face longer processing times," said Marisa Feil, a Canadian immigration lawyer at FWCanada. "Canada is still open for business, but applicants for Canadian visas should plan ahead and apply as soon as possible." Citizenship and Immigration Canada (CIC) figures indicate that the wait time for online applications is now 32 days as compared to 25 days before; application by mail is now 73 days, up from 66 days before. The strike can also add to the backlog of immigration applications, a problem that CIC has been trying to solve for years. Dealing with the impact of this strike may be the first challenge for the new Minister of Citizenship and Immigration Chris Alexander, who just became the head of CIC two weeks ago.